Caption slip reads: "Photographer: Sandusky. Date: 1958-07-26. Assignment: Van Cliburn. 2 negs. 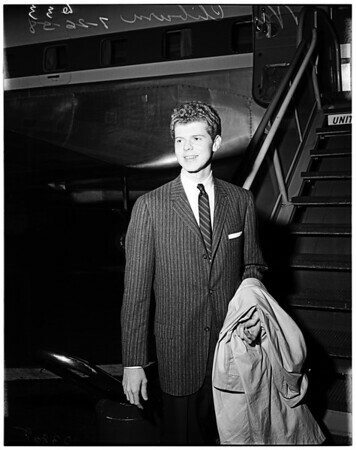 Van Cliburn arrives via United Air Lines for Hollywood Bowl performance".